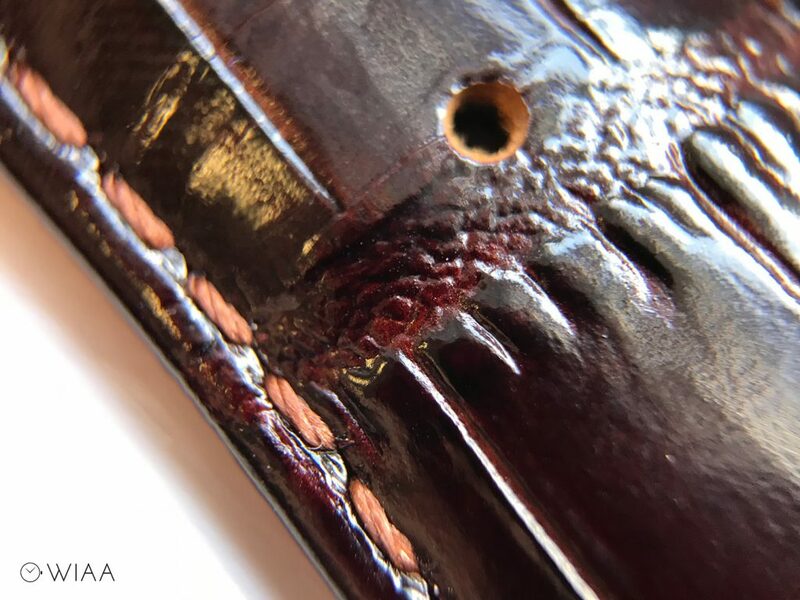 Published by Joshua Clare-Flagg on 16 Sep, 2018. 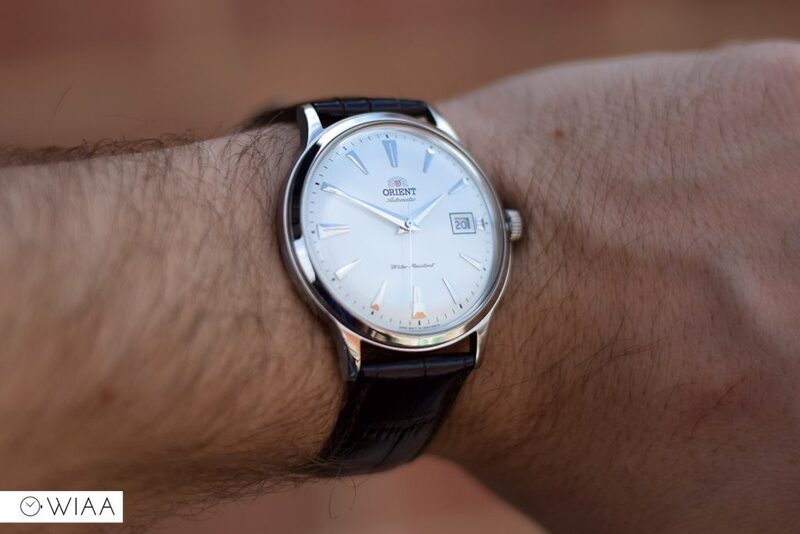 The Orient Bambino is one of those watches that consistently appears in those “Best Watches under [enter price bracket here]”. Why? 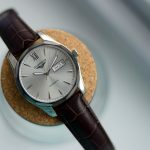 Well, it’s the fact that it’s made in-house by Orient themselves with their own movement (who are actually part of the Seiko Group), has a classy timeless design, and is well known as looking as if it’s worth much more than its modest price tag suggests. 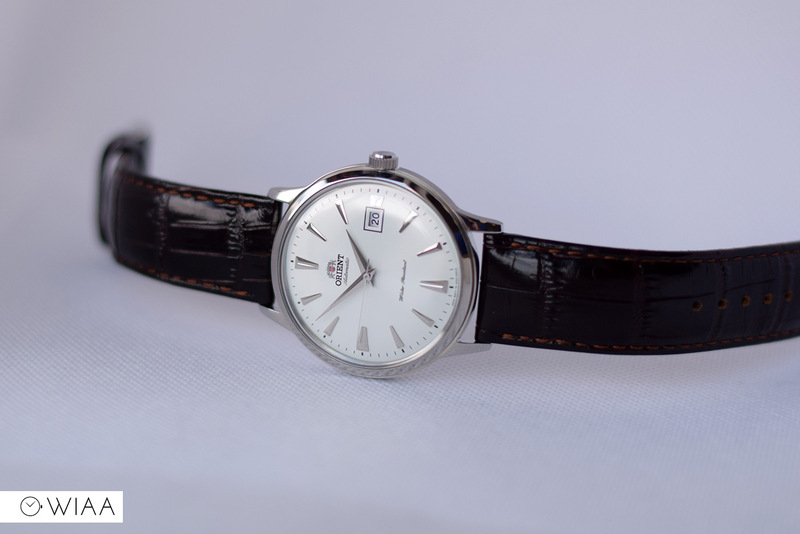 This particular Bambino is the second generation – you can tell the difference easiest by the way it says “water resistant” rather than “water resist” in the bottom half of the dial. I surprised myself really that it’s taken this long to check one out. I finally cracked and thought it was about time to find out what all the fuss was about. Let’s check it out in closer detail to see if it lives up to its shining reputation. When I first opened the pouch – one thing’s for sure; it was larger than I expected. 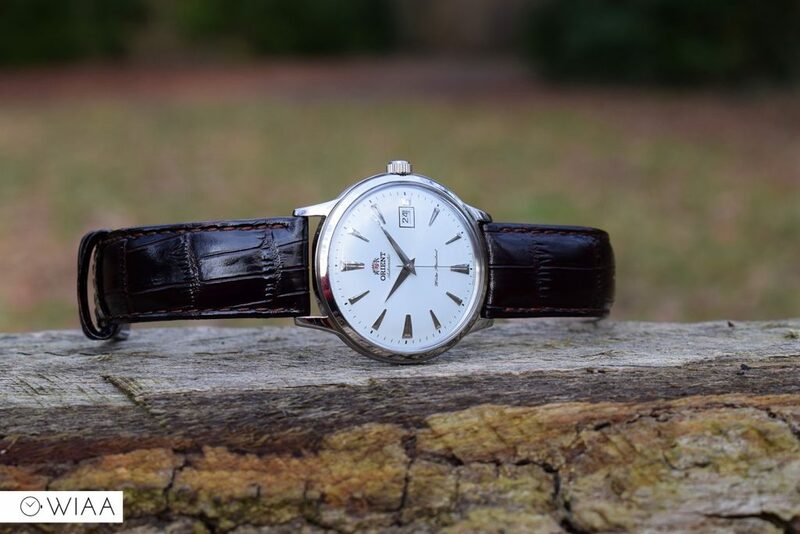 I guess my expectations were more around the 38mm diameter simply due to the classic vintage style. 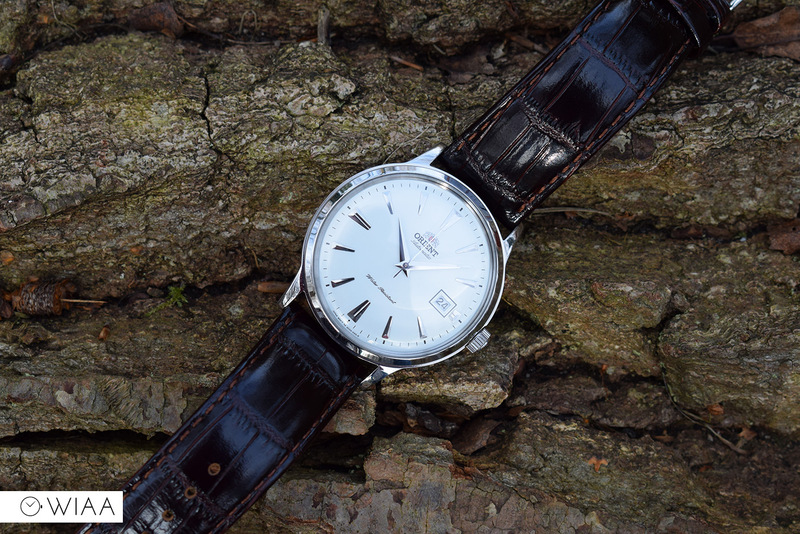 It doesn’t wear as tall as the 11.5mm height though, providing a slender wear which is vital for a dress watch. 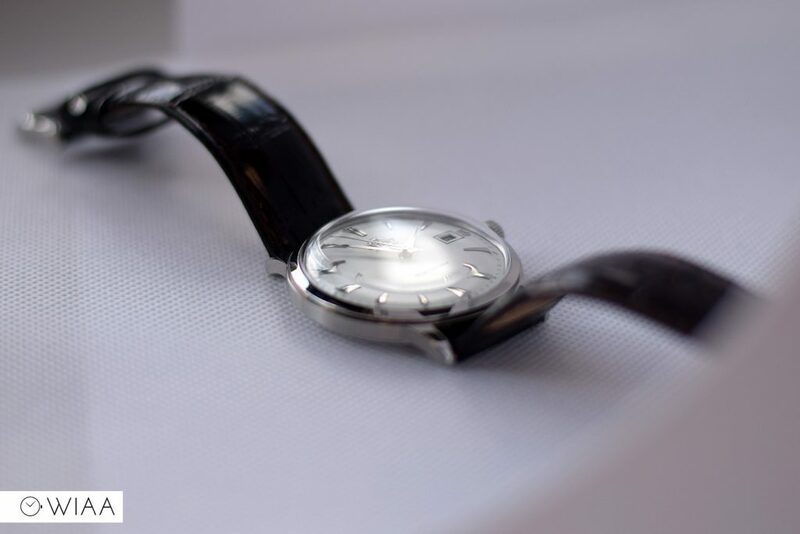 It’s not the most exciting shape, but then again not many dress watches are. It has a polished top and brushed sides which produces a variety of reflections depending on the angle of the light source. 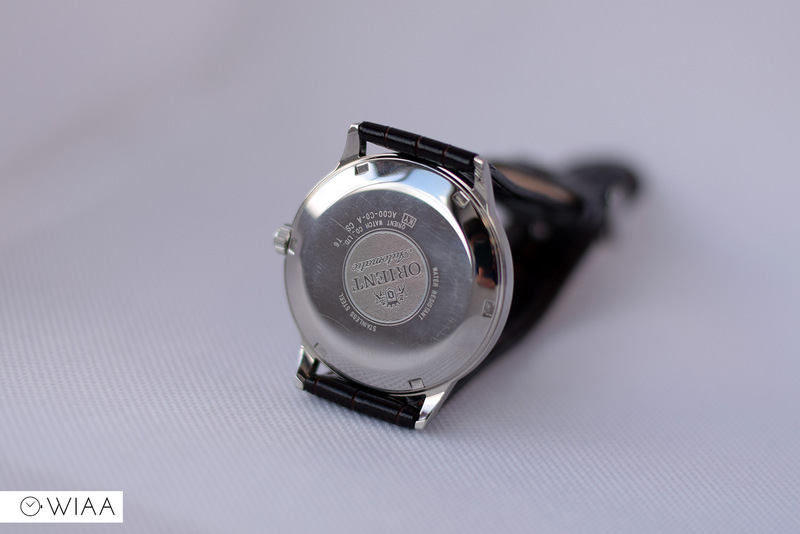 Sitting on top of the case is a very tall, heavily domed mineral crystal; which works tremendously with the equally domed dial. Obviously, the fact that it’s merely a mineral crystal is a shame, but let’s not forget the price. And when it looks as awesome like this, it’s easy to overlook that fact too. 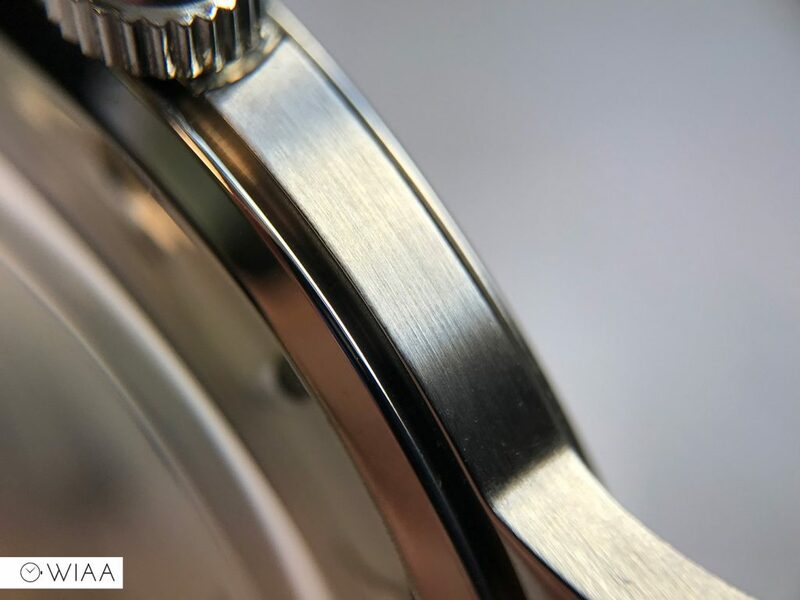 The fully polished caseback has a distinctive lightly engraved motif in the centre, however, I’ve found it to pick up quite a number of hairline scratches. 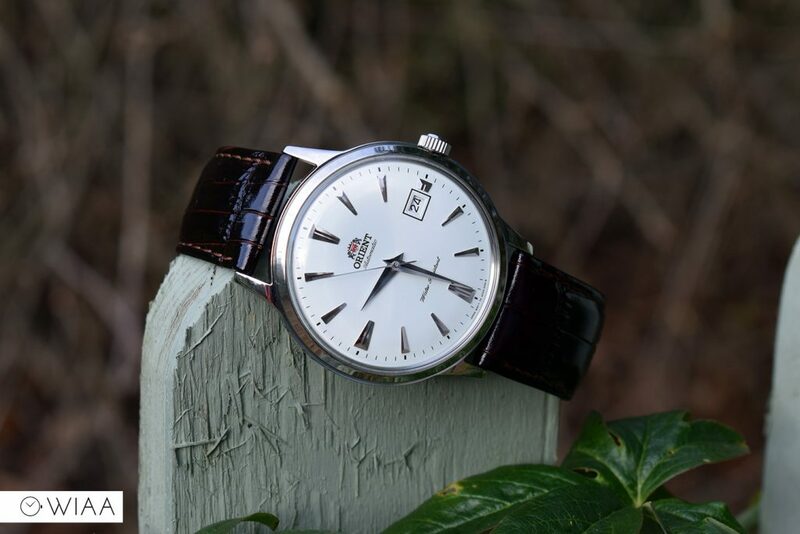 The push-pull crown has a gentle grip as well as the detailed Orient logo etched in the polished end. It looks good and is easy to use. 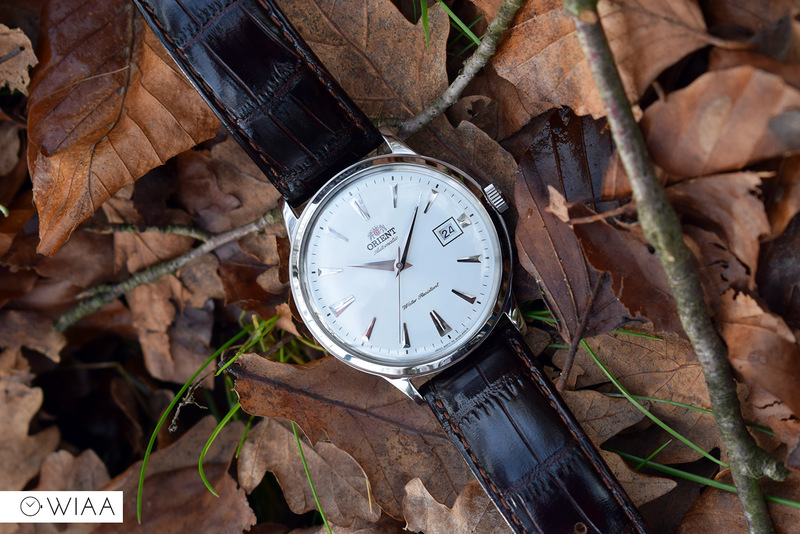 The dial is optimised by the striking metallic sunburst, finish, as well as the domed edge. 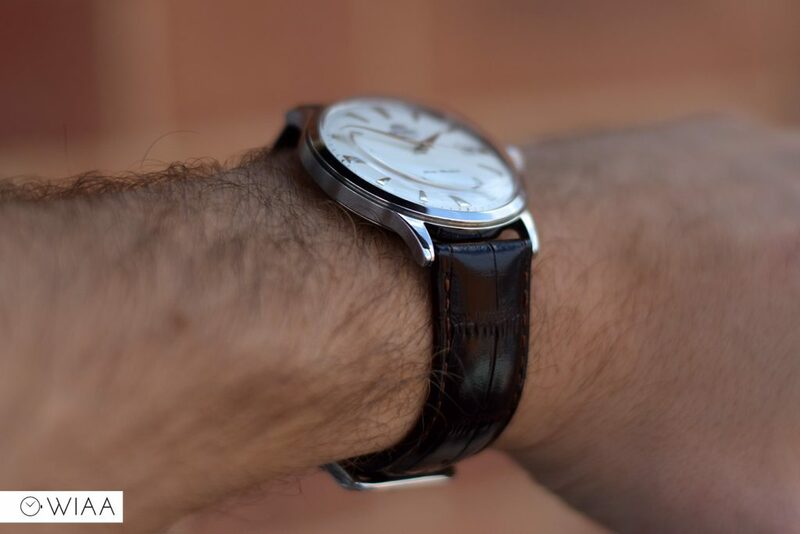 I love how the hands also curve at the tips to work around the dial’s shape. The sunburst effect is gentle and very subtle; elegant and classy. 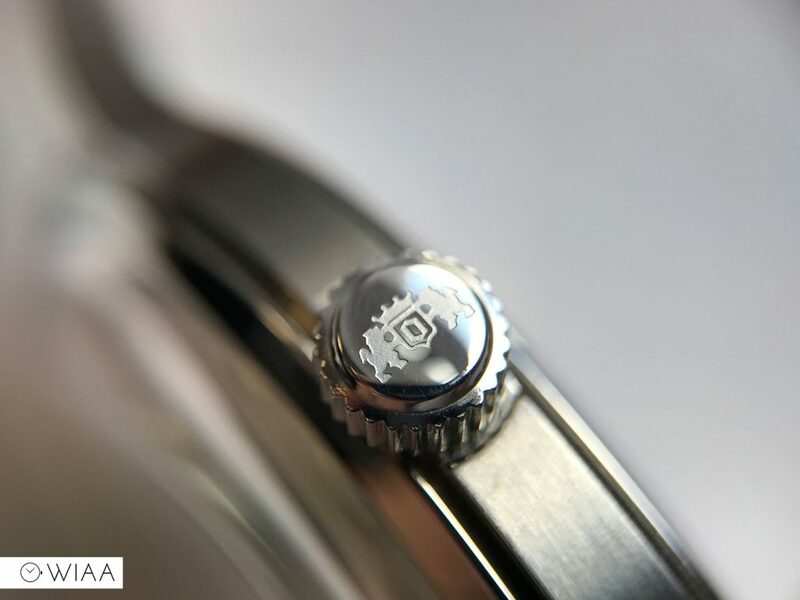 The applied logo is delicate and a bit on the light side, but it looks great in this setting and makes a big difference to the dial, rather than a plainly printed logo would. 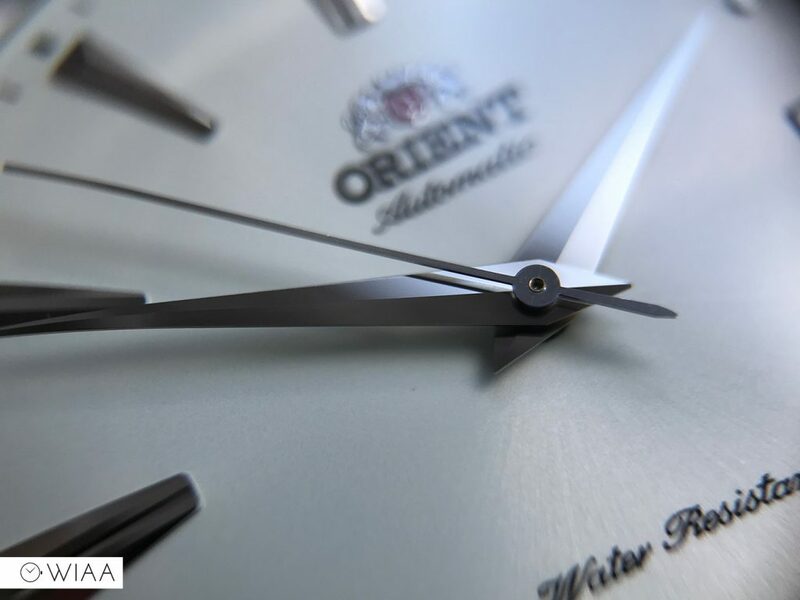 The hour and minute hands are highly polished and pitched dauphine shape; a classic shape coupled with an eye-catching finish. 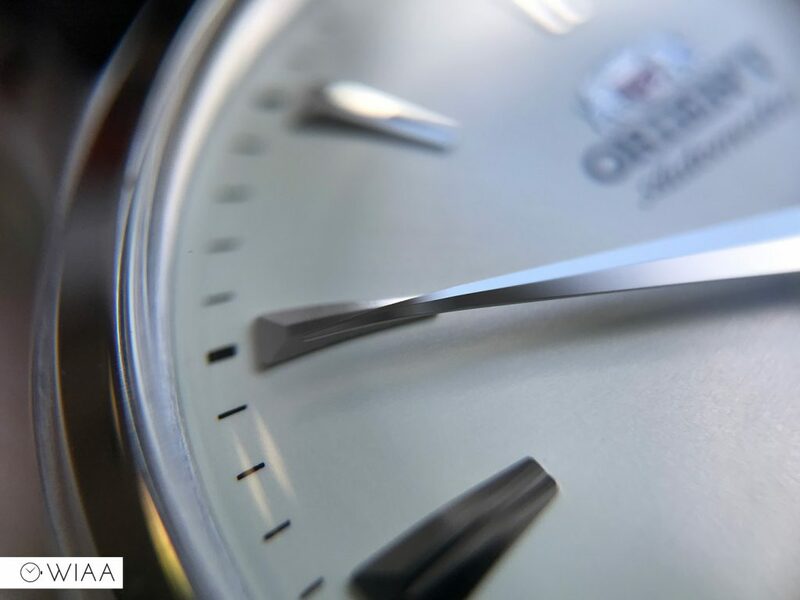 The seconds hand is a straight point. All are flawlessly constructed. 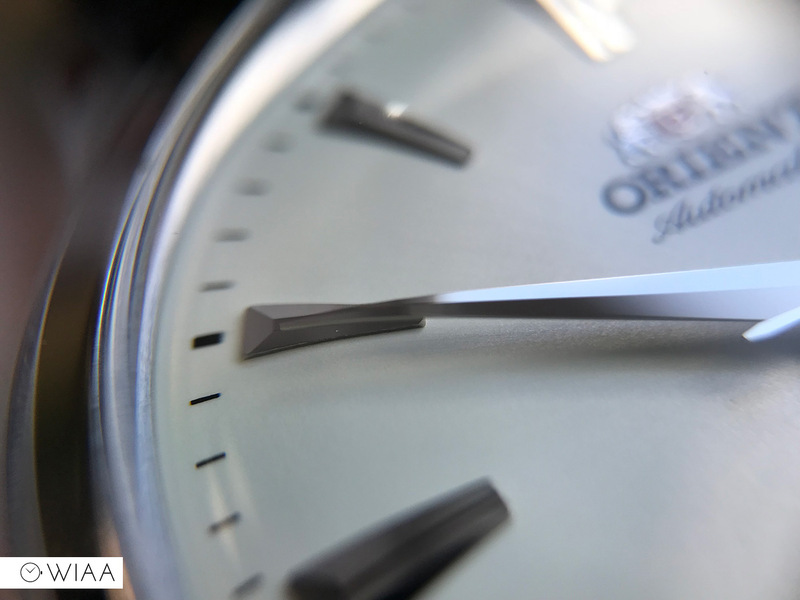 The hour markers are all equally spotless, being fully polished and a pitched triangular shape. The date window is also subtle, but surprisingly detailed when inspected up close. A black printed border surrounds the window, which has a slight bevel to it. 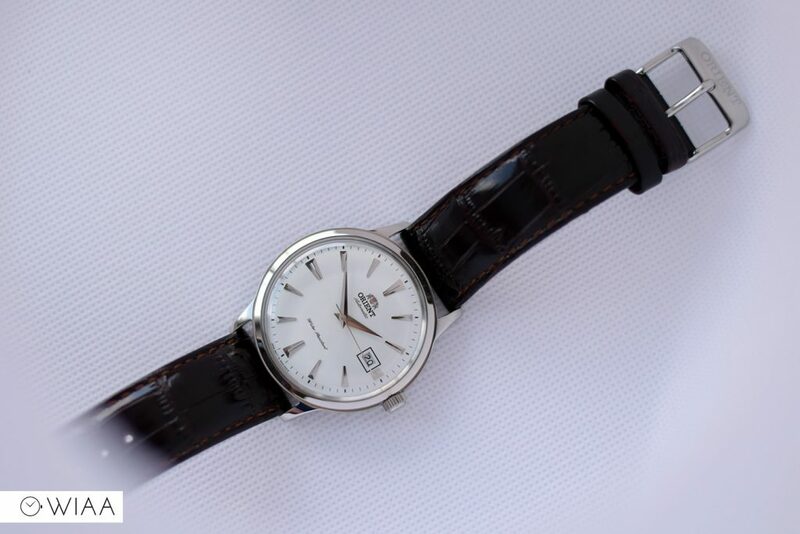 It’s really neatly cut out of the dial which is good to see on a budget timepiece. 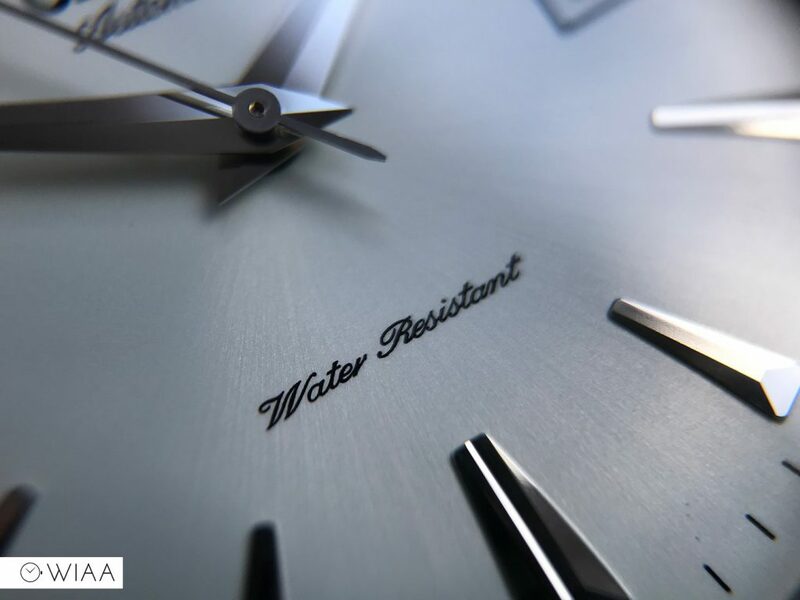 The printwork throughout the dial is clean and crisp – even the text along the bottom which is microscopic to the human eye. 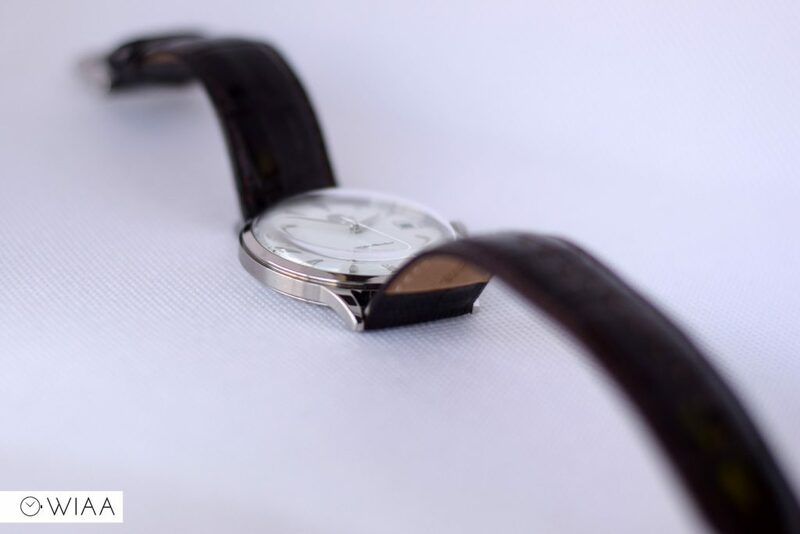 At 21mm wide, the strap is an annoying width – so if you have any standard 20/22mm aftermarket straps then they’re unlikely to fit. I’m not the biggest fan of alligator stamp, especially with a reflective patent finish like this one. 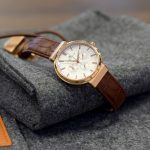 It’s also average quality at best, so whilst it’s good enough to get by, I would think that if you purchased this watch for the long haul, you’d want to switch this out. 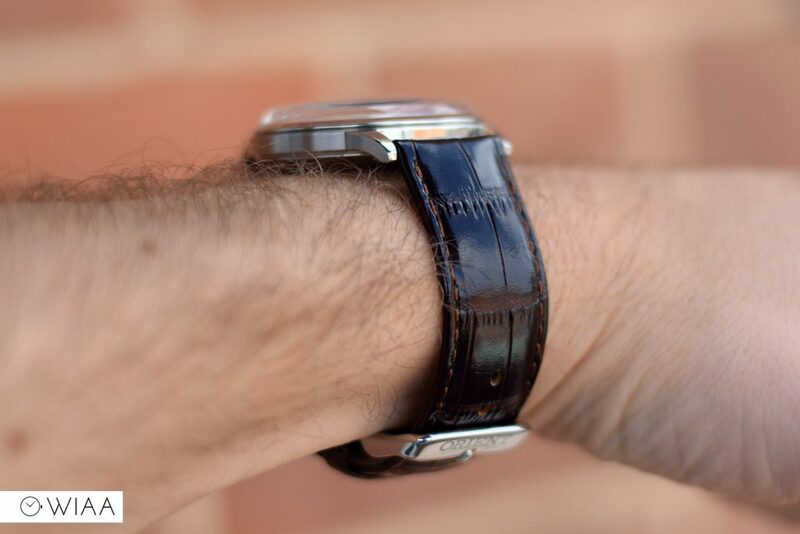 One of the pluses for the strap, though, is the fact that it’s a really interesting colour – a mix between black and brown based on the angle and light. 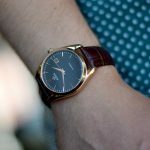 It’s great as you can wear it no matter what colour you’ve got on – it’ll go with black or brown suits and accessories etc. 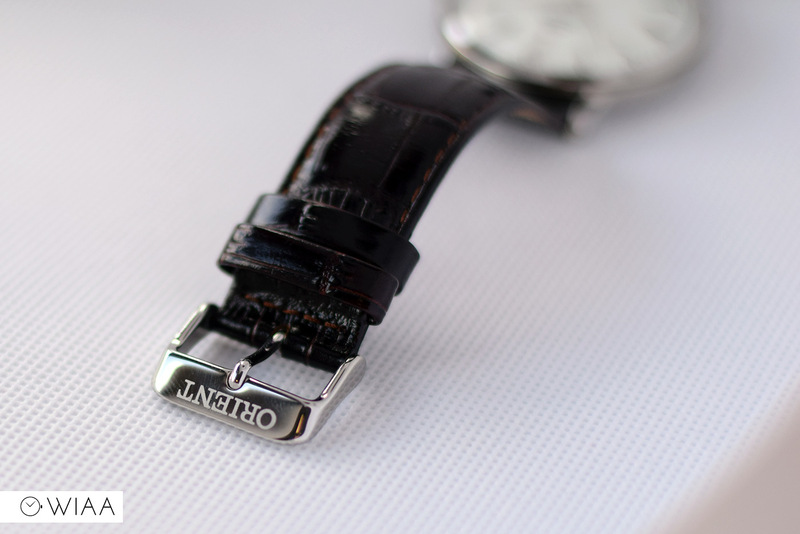 The strap is secured using a fully polished standard tang buckle. The Orient logo is very lightly laser etched on the top bar. The quality of this marking is a tad disappointing, but again I keep reminding myself of the important things with a watch costing this much. 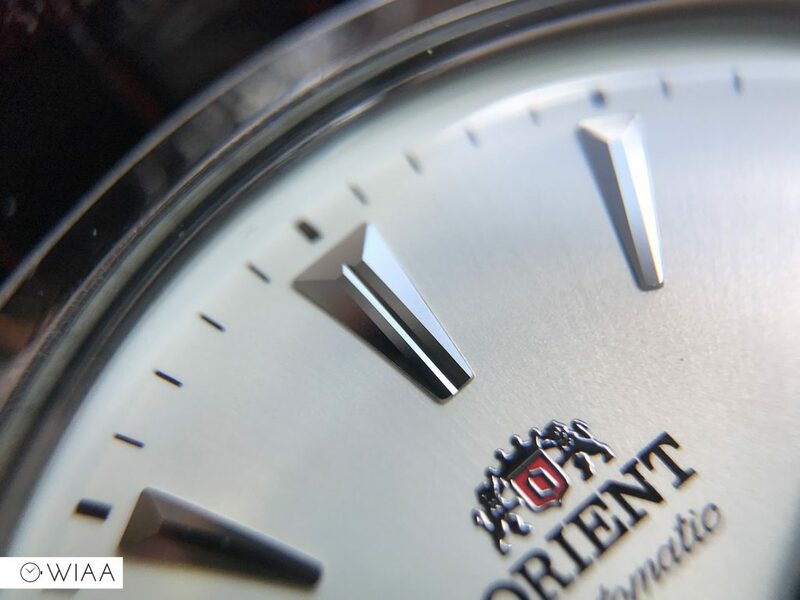 This is where Orient really impress. 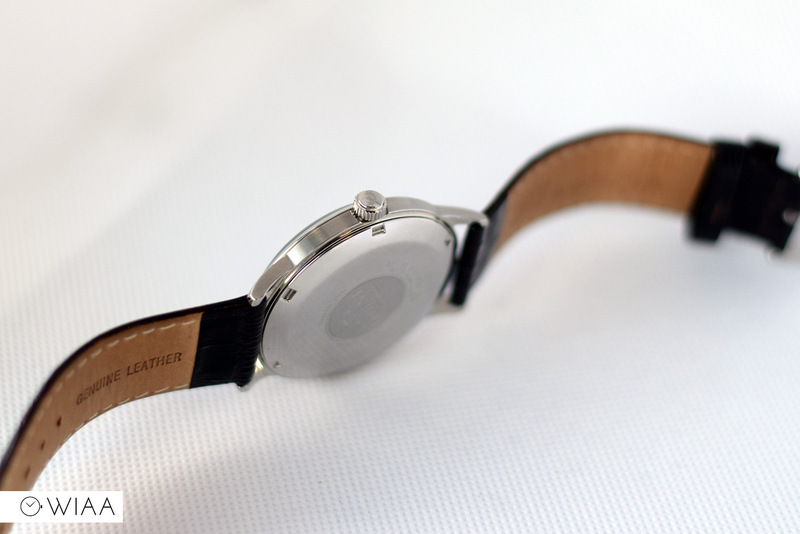 All of their watches are powered by their own, in-house movements. A fantastic feat by modern standards. 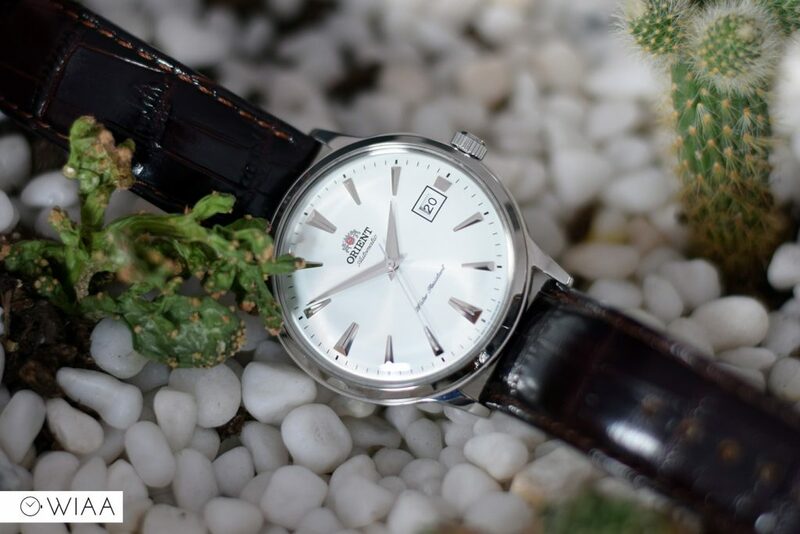 The particular movement powering the Bambino is the Orient F6724. It has all the specs you’d expect: hand and automatic winding, hacking seconds, beat rate of 21.6k bph (6 ticks per second), approx 40 hours power reserve, and 22 jewels. 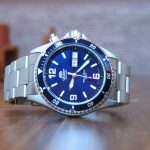 For a watch costing this much, it’s impressive to have an “in-house” movement; it’s extremely rare and is one of the key selling points of Orient. 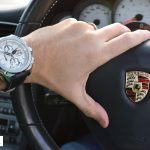 They also have a good reputation for being dependable and fairly accurate – this one is coming in at +8.4 seconds a day which is perfectly reasonable. 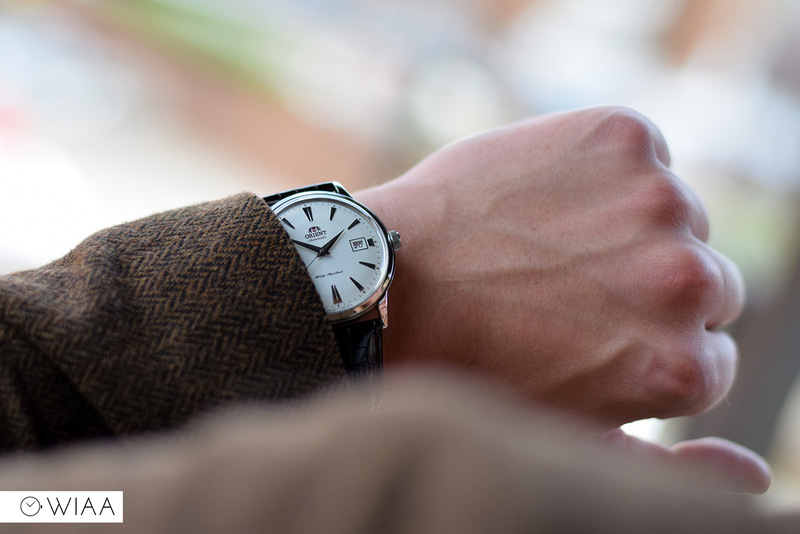 There’s a reason why this watch is so highly regarded. It’s stunning to look at, at such a ridiculous price. 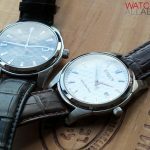 It’s one of those kinds of watches that any serious watch collector should give a go once in their life. 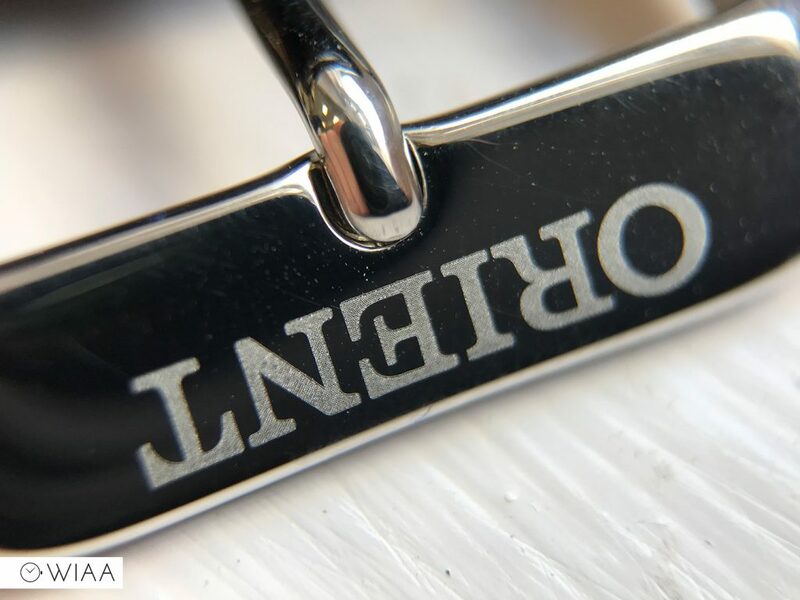 The level of detail is superb for the money, and although the mineral crystal is a negative mark in many’s eyes, the dome and hue does produce an aura that is unmistakable and very pleasing to the eye. 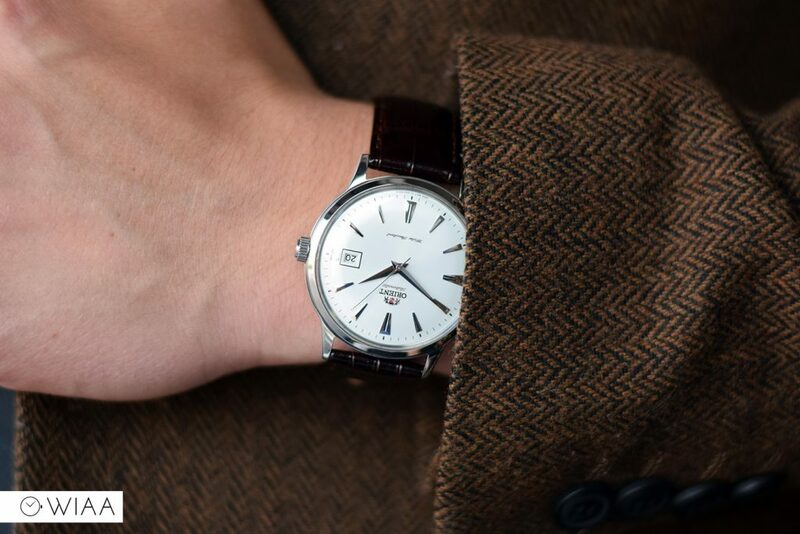 The wide dauphine hands and pitched applied hour markers, coupled with the crisp sunburst dial provide a sense of class and elegance, as well as a quality, that is hard to find on a budget watch. And don’t forget you’re getting an in-house mechanical movement to boot. In short, without a doubt it’s worth the money; and if it catches your eye, what are you waiting for? 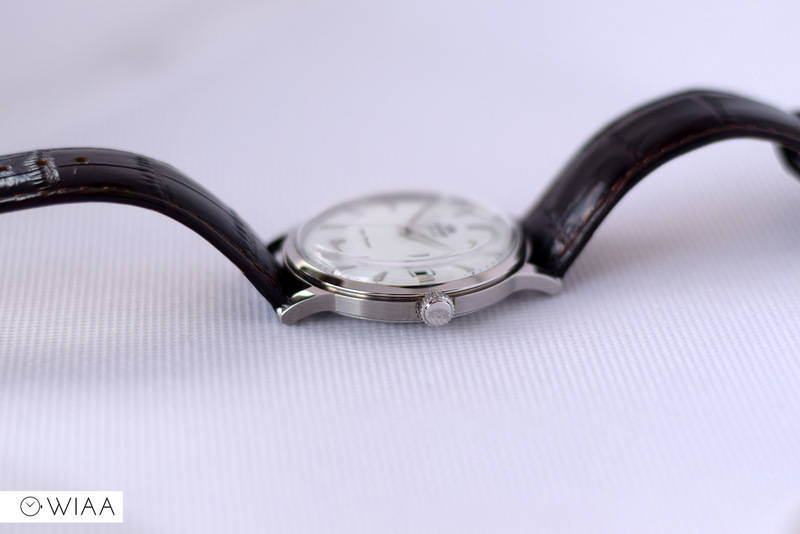 “It’s not the most exciting shape.” It’s a dress watch and so the look is understated elegance. It looks more expensive than it is. 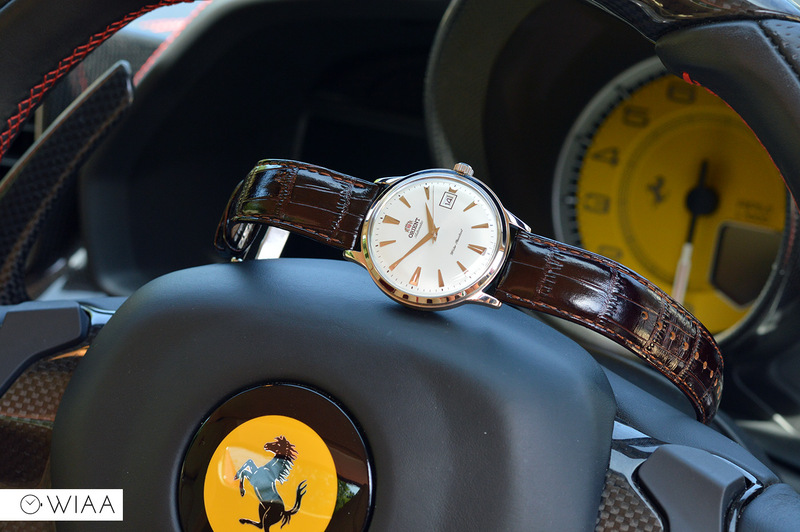 A watch to wear when you need to dress to impress. Good point, thanks for the comment!